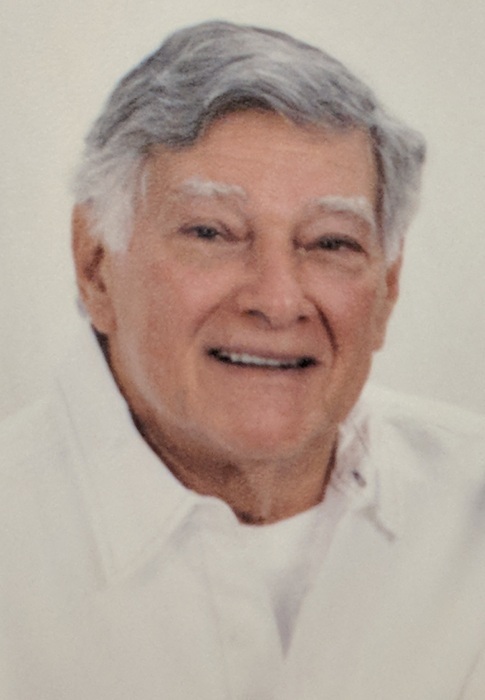 Obituary for Gabriel P. Turiello | Shore Point Funeral Home and Cremation Services, Inc.
Gabriel P. Turiello, 87 of Middletown, New Jersey passed away peacefully on March 16, 2018, surrounded by his loving family. Born on July 23, 1930 in Newark, New Jersey. Gabe attended Kansas City University and was a proud Veteran of the United States Army. Gabe was a Plumber for the Newark Housing Authority and also worked alongside his father at their family owned plumbing business. After settling in Middletown, New Jersey he established his own plumbing business. Gabe was a Pilot, enjoyed the outdoors, loved hunting, fishing, boating, the beach and traveling. Most of all he loved spending time and being with his loving family. Predeceased by his parents Pasquale and Mary Yaquinto Turiello, and his beloved wife June Krystofiak Turiello. Gabriel is survived by his loving children Gabe Turiello and his wife Lynn of Howell, New Jersey, Patricia A. Liberati and her husband Ernie of Holmdel, New Jersey, and Michelle Turiello of Middletown, New Jersey, his cherished grandchildren, Gabriel, Christopher and Giancarlo Turiello, Bella and Ernie Liberati, and his dear cousins, Lorraine Dawkins and Herky Lightcap. Gabriel is also survived by many nieces and nephews. Gabriel will be greatly missed, but never forgotten. Family and friends are invited to visit on Monday, March 19, 2018 from 4:00 PM to 8:00 PM and Tuesday morning March 20, 2018 from 8:00 AM to 8:45 AM at the Shore Point Funeral Home 3269 State Highway/Route 35 North, Hazlet, New Jersey 07730. A Mass of Christian Burial will be offered at St. Catharine’s R.C. Church on Tuesday, March 20, 2018 at 9:15 AM, 108 Middletown Road, Holmdel, New Jersey 07733. Entombment to follow at the Holmdel Cemetery, 900 Holmdel Road, Holmdel, New Jersey. For information, directions, or to send condolences to the family, please visit, www.shorepointfh.com.